Seems like we’ve had rain for days here in Carson City, and more is on the way. We’re getting more rain than Seattle! 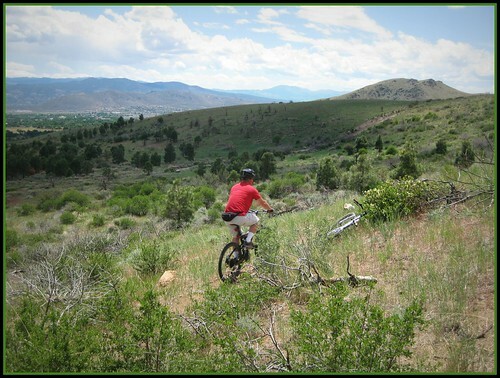 Everything is greening up around town and in the mountains. Ash Canyon has been a pleasure to ride in. The sheep spared some of the cheatgrass this year, and it provides a nice border along the singletrack. 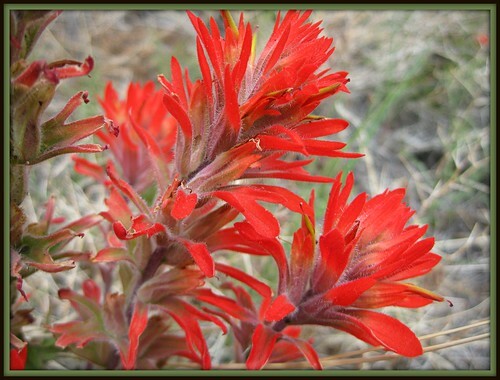 Spring flowers are starting to pop up, including one of my favorites, Indian Paintbrush. 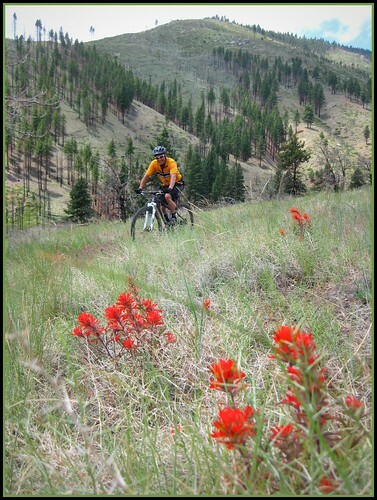 According to Wikipedia, “The flowers of Indian paintbrush are edible and sweet, and were consumed in moderation by various American Indian tribes as a condiment with other fresh greens. These plants have a tendency to absorb and concentrate Selenium in their tissues from the soils in which they grow, and can be potentially very toxic if the roots or green parts of the plant are consumed.” More on these interesting flowers HERE. So far we’ve been pretty lucky with the rain, only catching the beginning or the end of the storms on the lunch rides. 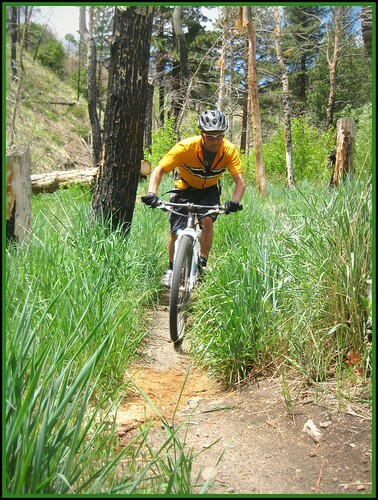 The sand is pretty firm up in Ash Canyon, making for nice climbs and plenty of traction on the downhills. It’s also noteworthy that the trails have held up extremely well under constant rains, a good indicator of proper design and drainage. While I can’t wait to get up to Lake Tahoe for some epic riding, it’s probably not the best idea in these frequent storms. Until then, I have no problem enjoying the trails close to home. I’m still amazed that I can get a true mountain experience just minutes from my work desk. 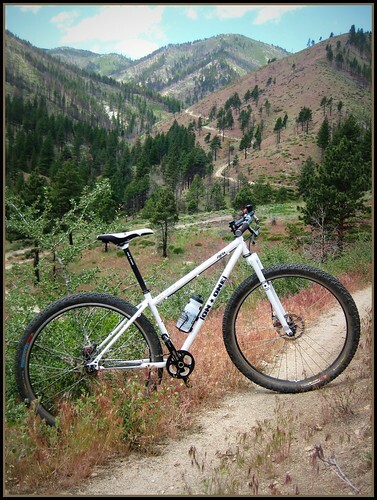 Just another one of the benefits of living in Carson City!